How Do the Lower Eyelids Change with Age? One of the most common signs of ageing is protruding fat and excess skin in the lower eyelids. UCLA researchers executing a study in 2008 found that this protruding fat is caused by fat expansion in the eye socket as we age. Another sign of ageing that can be prominent in the eye region are wrinkles or creases. This problem is more prominent in patients who have smoked for a long period of time, or patients who have been struggling with their eyesight. Patients who have made the squinting motion regularly as they aged, will be more likely to develop lines and wrinkles around the eye region. How Can a Blepharoplasty Correct These Problems? A blepharoplasty can reduce signs of ageing dramatically by removing protruding fat that has accumulated over the years. 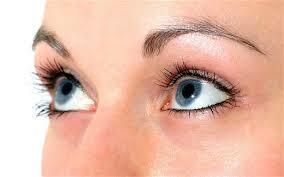 The surgeon is able to do this by making a small incision in the natural crease of the lower eyelid. It is through this incision that the surgeon will remove the fat or any surrounding tissue that may be causing the aged appearance of a patient. When only fat has to be removed from the lower eyelid, the surgeon can perform a procedure named transconjunctival blepharoplasty. During a transconjunctival blepharoplasty, the surgeon does not make an incision in the natural crease of the eyelid, but from the conjunctiva. By doing this, the surgeon can make an incision that will not be visible at all. The transconjunctival blepharoplasty is often recommended for patients with a darker skin tone, considering the fact that the scar left after a regular blepharoplasty is more visible due to their skin tone. However, transconjunctival blepharoplasty cannot be performed if the surgeon also needs to remove excess skin. In these cases, the surgeon needs to use the traditional technique in order to remove the excess skin from the lower eyelid. Can Blepharoplasty of the Lower Eyelid Be Combined with a Facelift? Blepharoplasty is a procedure that can be combined with a facelift. It is actually a popular combination, since the facelift only focusses on the lower part of the face. Additional procedures are often needed to tackle signs of ageing around the eyes, cheeks and forehead. The combination of blepharoplasty and facelift is able to tackle these problems at the same time. However, additional treatments can still be used in combination with a facelift to further reduce signs of ageing. What Other Procedures Can Be Combined with Blepharoplasty of the Lower Eyelid? In addition to the facelift, there is another procedure that is often combined with a blepharoplasty of the lower eyelid, more specifically laser skin resurfacing. Laser skin resurfacing is a procedure executed by laser, which means there is no need for incisions. The non-surgical nature of the treatment makes laser resurfacing a viable option for patients who do not want a surgical treatment to reduce visible signs of ageing. However, the combination of blepharoplasty and laser resurfacing can provide more dramatic results. To ensure the patient is able to obtain the results they wish to achieve, Dr Lanzer always discusses available treatment options with the patient. Based on his evaluation of the patient, he can lay out a treatment plan that may provide the best results for the patient in question. What Aftercare Is Needed After a Blepharoplasty? As is the case with any kind of surgical procedure, eyelid surgery will require recovery. Most patients who have eyelid surgery do so on an outpatient basis, which means they can leave the Dr Lanzer Clinic the same day and do not have to stay overnight. However, the patient does need to follow the instructions given by the medical team at the Dr Lanzer Clinic once they leave our facility; this to ensure a speedy recovery process. When the patient had the procedure, the patient can expect the basic side-effects that accompany eyelid surgery. The most common side-effects are redness and minor swelling surrounding the area where the incision was made. Some patients may also experience tearing of the eyes. To prevent the eyes from getting to dry after the procedure, patients can use special drops provided by the clinic or can use approved over-the-counter eye drops. Before you use any form of eye drops or ointment on the eyes, be sure to contact the medical team at the Dr Lanzer Clinic before you use them. Your eyes may be sensitive to certain substances for a short period of time, which is why it is essential to get the approval of the medical team before use. Another symptom that may occur shortly after your procedure is temporary blurred vision and sensitivity to light. Even though this is a common side-effect after eyelid surgery, it is essential to have someone drive you home after you leave our facility. Even if your eyesight seems okay, it is best to let the eyes rest and not undertake any actions that require you to focus your eyes. To promote the recovery, it is advised to avoid any activities that may dry out the eyes for the first week of the procedure. Such activities may include reading, watching TV, wearing contact lenses and using a computer or laptop. To reduce any swelling during this time, it is recommended to keep the head elevated. This can be done by sleeping on an extra pillow at night. Wearing dark sunglasses up to two weeks after the procedure is also recommended. Using sunglasses will protect your eyes against irritation from sunlight and wind. Patients must also remember that the eyes may feel a little tired during the first few weeks; this phenomenon is a normal part of the recovery process and will dissipate as your eyes are starting to heal.